Mana Drain is likely the single most broken instant ever to see print. No, Force of will is not close. The card was a mistake and should have never seen print. Also an utter failure to the colour pie. You have no clue what you're talking about, honestly. 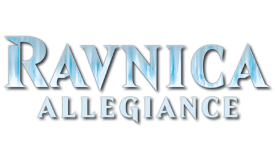 The color pie didn't exist during the printing of Alliances as it does today, it was perfectly in color (blue got everything, remember). Also, with mana burn, generating a bunch of extra mana that control decks likely couldn't spend was a serious drawback. Doing away with mana burn made it more powerful, but without the full blue toolbox that eternal formats enjoy, there's a real cap on just how powerful it can be in Modern. You can't evaluate cards in a vacuum, you have to evaluate them based on how they'd slot into existing decks and what they'd enable. Force and Daze would be quickly banned, just like everything else that makes Storm too strong. Plus, they'd allow UR Phoenix to go all in while still having protection; the strongest deck in Modern does not need to get better. Mana Drain has been banned in Legacy for a long time and doesn't really see play in Vintage because fast mana is so prevalent. I'm actually of the opinion that Mana Drain would be less busted in Modern than Force or Daze. The latter two would make both UR Phoenix and Storm much better, which is the opposite of what this format needs. There are only four currently extant decks that I can think of that would possibly use Mana Drain. U Tron: Doesn't really need more fast mana and I'm not sure the deck wants to give up either Remand or Condescend. UW Control: Would really, really benefit from Mana Drain and Counterspell (which I regard as an auto-include in the set). Tapping out on Turn 3 for Jace or getting a free Teferi is a very powerful play. Whir Prison and Lantern Control: Mana Drain allows the lock to happen much faster. Would Mana Drain be oppressive? Yes, it'd jackboot thug the fast creature decks (Dredge, Hollow One, Vengevine, and Phoenix) straight to the gulag, which is what Modern desperately needs. The non-U versions of Tron probably also go to Siberia, which I have no real opinion on. The more midrange, toolbox creature decks like Humans and Spirits already have the tools to deal with a control heavy meta. That looks suspiciously like Jace, but if it is, he's growing out his beard. 1) Flip the top card and it's a Path of Discovery. 1b) Walker #1 triggers twice, getting +2/+2 and I gain 6 life. 1c) Walker #2 does the same. 3) I chump with three Saproling tokens to stay alive. 4) I win the game on my next upkeep? I used to be against the idea of Pernicious Deed being Modern legal despite loving the card because of the fact that it might keep fast aggro down. Really though, isn't midrange supposed to chew up aggro? Deed would be like a slightly more expensive Wrath, with the upsides of versatility and instant-speed activation. It's hard to imagine decks like Humans, Spirits, or Phoenix falling off due to GBx getting Deed. It can hit manlands, but misses planeswalkers, so all sorts of interesting and skill-testing lines could come about by having it. GB has a lot of turns 1 and 2 disruption, so I don't think that Deed is as mild as you're assuming. That said, I don't think a format being dominated by aggro is any better than a format dominated by combo. So, yes, please print deed. Daze, Misdirection, Price of Progress, Hymn to Tourach. All of these cards are very high risk, and push all sorts of existing archetypes out of competitive viability. I don't think any of these cards are too powerful for Modern at all. They absolutely would slow down the format by at least two turns, but Modern revolving around mid-range is a good thing, IMO. Holy hell, this is spicy. I really like Peer Through Depths in Draw-Go decks because it allows you to dig for the specific answer you need, rather than hoping you goldfish it. How many planeswalkers can they realistically print in one set? Are we even expecting them to print more than 3 or 4? A lot. 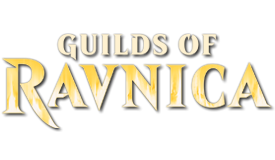 There are 13 walkers who are current or former members, or allied to, the Gatewatch. It actually wouldn't be all that unrealistic for WotC to guarantee a Walker in every pack. 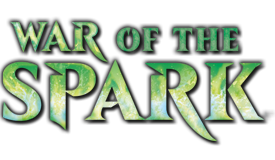 I think that basically confirms that this is a Planeswalkers Matter set. I hope we don't get the lame, useless Planeswalker Deck walkers, but pushed walkers that really emphasize how much more powerful Planeswalkers are than regular mages. Naturally there'd need to be 'Walker hosers and plenty of them, but I don't see that as a problem. I decided it was okay to ‘up’ this thread since we are not in middle of any spoiler season right now. If you have ever lost fairh in humanity, please read on. Yes Ladies and gentlemen. Today I received a foil Modern Masters Pact of Negation in the mail shipped from another continent free of charge. He even paid the shipping price. Sorry for upping an old thread. Definitely a man, lol. Shipping wasn't a huge deal, I've paid more for shipping CONUS. If it had been the $50 I was fearing, I still woul have paid it, I assumed that cost when I made the bet. Anyway, I'm glad it got to you. The problem with the Pike is that there are cards that do the same thing for cheaper. You have Myth Realized for W, which becomes a creature until end of turn with the Pike effect for another W. You also have Enigma Drake for 1RU which has the Pike effect on the power side of things. Fyrwulf posted a message on What would Modern Challenger Decks look like? I think your going to have a hard time convincing me of that. The secondary market impacting reprint value has a huge relevancy to Wizards prolonged health. It's pretty basic economics. The lower the cost of a product, the bigger your potential overall profit is. Walmart makes billions an an extreme version of that model. Think about how many people are priced out of Modern, even with a relatively inexpensive deck like Burn. 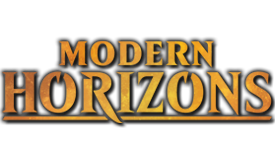 Not only that, but Wizards sees zero profit from a constructed Modern deck. 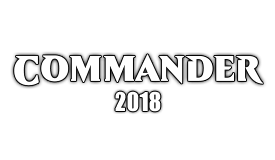 I can give you a real world example of such an effect; try and find a Commander 2017 precon anywhere. 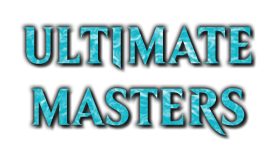 Wizards has made a ton of money from supporting that format and selling decks for $40, even though a DIY copy of, for example, the Ur-Dragon deck will set you back more than $100. Lol I won't think they would do that. That alone is what $300? Nah I would expect something like the BW Tokens deck. Cards like Shocks, Check Lands, the nuts and bolts of Path and IoK...maybe a Filter Land, a Fetch (single) and stuff like that. Pre-Con with MULTIPLE $50 dollar cards? That would be them shooting themselves in the foot. WotC doesn't care about the secondary market value of cards, though, because they don't benefit from it. A good $40, 75-card precon would make them a ton of money. Fyrwulf posted a message on The Next Non-rotating format speculation thread. Not necessarily. There are degenerate combos, ramping, and library manipulation throughout the history of Magic. Yeah, you'd like Ancestral Recall, but would you really complain about using Brainstorm instead? An Open format also creates design space for the RnD team and, I think, would be every bit as diverse as Modern. As an aside, condensing two formats leaves the slate open to adopt Commander as an official format. So, this is an admittedly crazy idea, but why not axe Vintage and Legacy (which are fundamentally dead formats) and replace it with an Open format? Bring the most degenerate deck you can. No restricted or banned list would be a feature of the format.